With over 30 years experience in the property profession we are an independent firm of Chartered Surveyors able to provide comprehensive and professional property advice. The practice is regulated by the Royal Institution of Chartered Surveyors (RICS). It operates strictly in accordance with their best practice and guidelines laid down by the RICS. We operate throughout Worcestershire, Gloucestershire, Warwickshire and the Cotswolds. 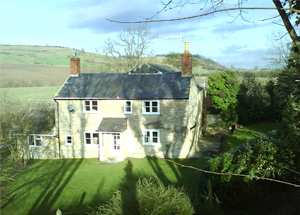 The practice has experience of all types of property from modern, Victorian, period, listed and historic buildings. 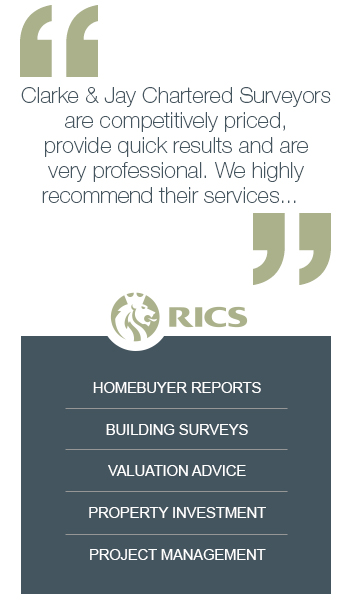 Clarke & Jay Chartered Surveyors provide an efficient personalised service. We always discuss client requirements before the instruction is taken and give verbal feed back once the inspection has been completed. If there are problems or issues that require careful consideration, we will meet with our clients to discuss their options. Our aim is to help you make an informed decision on the very important purchase of your next home, investment or project. We have many satisfied customers and references can be arranged if necessary.